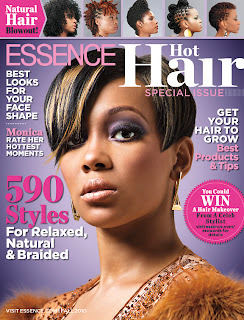 In its first issue dedicated to hair, ESSENCE highlights the unique relationship between African-American women and their hair with the launch of HOT HAIR, an interactive experience covering all things hair -- from root to tip -- for African-American women. This special issue covers all of the beauty needs, questions, concerns and triumphs of African-American hair care and style. Further enhance your HOT HAIR experience on ESSENCE.com which features look books, hair tips and interactive tools that allow you to "try on" different hair styles and makeup donned by some of your favorite celebrities. Take a look: http://www.essence.com/makeovermagic/. This fly girl has not only entertained the world for more than a decade with her beautiful soulful voice; but the R&B princess is also known for her "dare to be different" hairstyles. Monica has gone from long to short hair and black to blonde hair and back. She opens up to ESSENCE about her career, motherhood and -- of course -- her hair. (Page 80) Check out scenes from her ESSENCE photo shoot here. 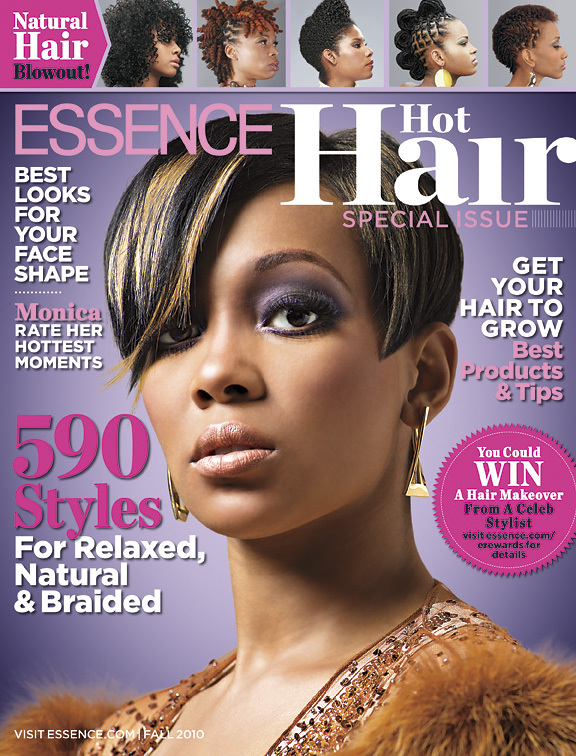 ESSENCE’S SPECIAL HOT HAIR issue hit newsstands on October 12th!